The System Setup menu provides the client the ability to change site specific settings within the operator, manager, or administrator roles. dataSOFT Management allows for the management of users and associated passwords throughout all dataSOFT applications. 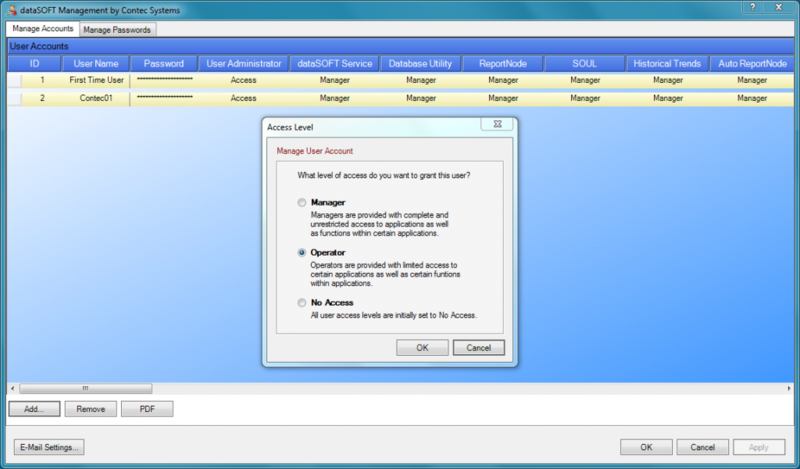 In addition to managing users and passwords, dataSOFT Management further allows for defining access levels for each individual user to each associated service for each dataSOFT application. 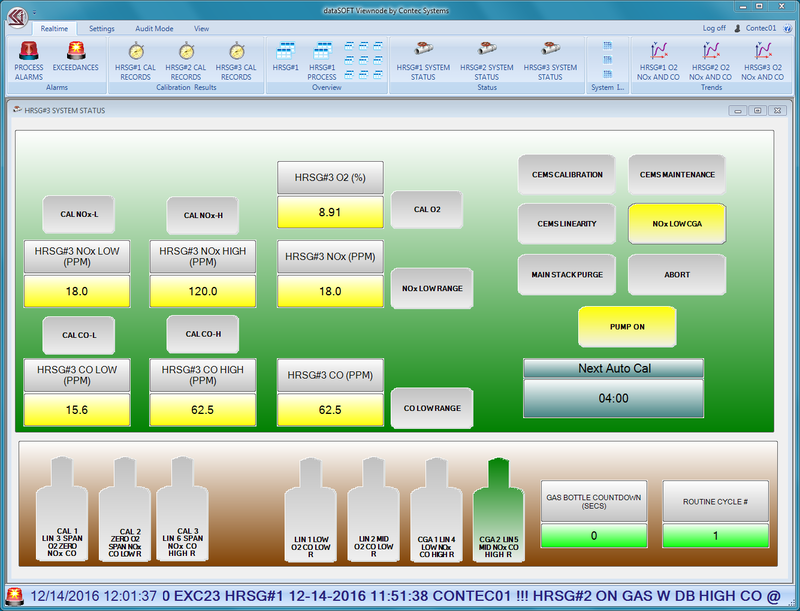 With one of the most powerful reporting applications available for CEM applications, all reports that are generated by dataSOFT are preconfigured at our factory and are…”guaranteed to meet EPA 40 CFR Part 60, 75, 266 and 503 requirements.” Reports can be generated to the computer screen, the printer, pdf file, and MS Excel file. 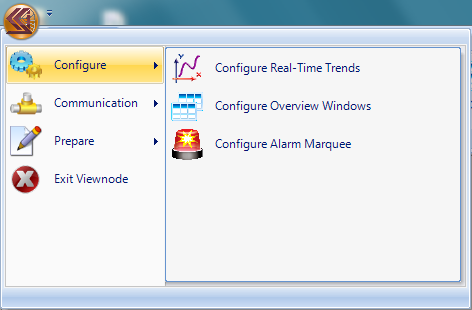 Specific reports can easily be added, removed, or customized by client from built-it configuration menus. 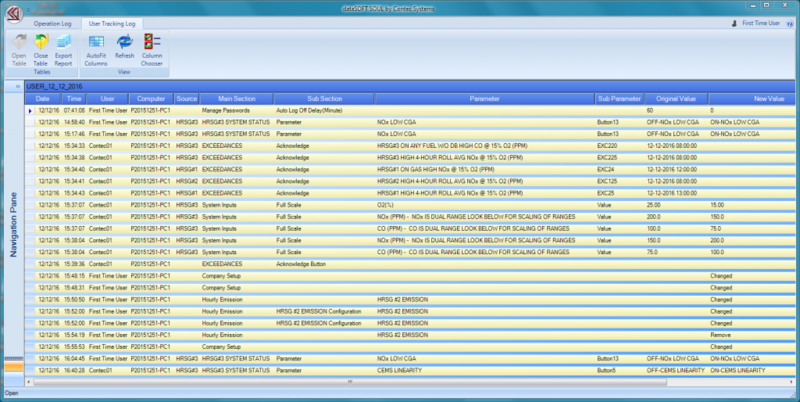 dataSOFT SOUL (Supervisory Operation User Control) contains 2 power packed features. 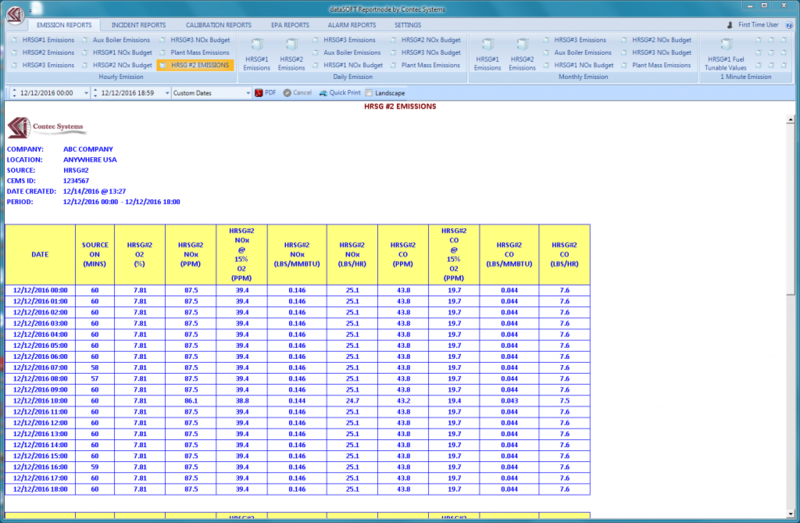 An electronic log book for the operators and CEMs technitians to record maintenance activities. Replaces the need for a separate log book that can get misplaced of damaged. Electronic records are stored in a secure database that can only be modified historically by a system manager. A user log that tracks changes and activities within the system for each individual user. All activities are tracked and recorded that can affect quality assurance of data. 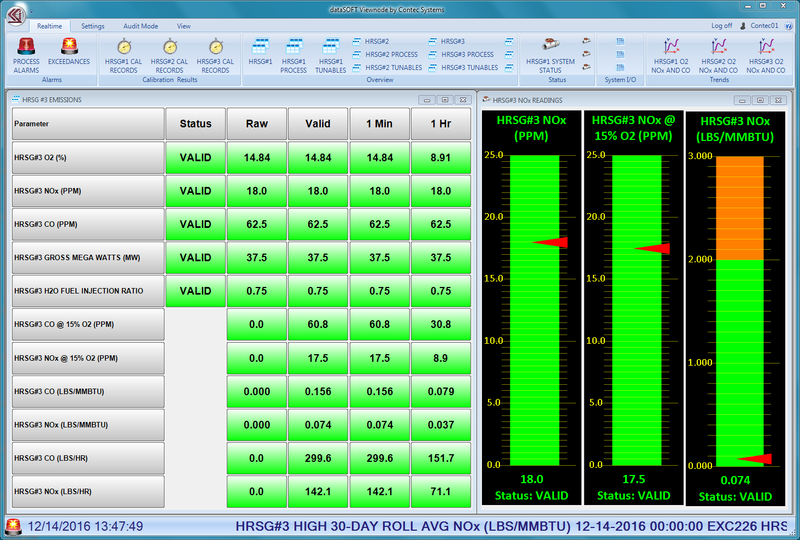 All activities are time and date stamped; original values as well as new values for system tunable parameter changes are retained; computer name where changes originated from are recorded. 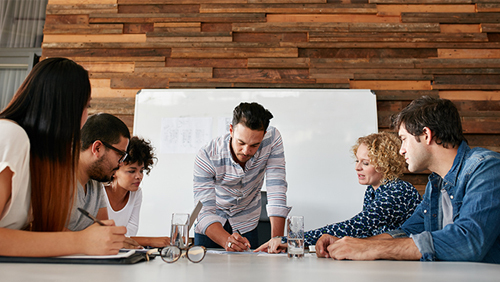 Our expert engineers specialize in finding optimal solutions across a broad range of industries impacted by local, state and federal monitoring and reporting requirements. Contec brings a powerful perspective built on experience, with decades of effective designs and implementations. dataSOFT brings powerful control and reporting for CEM applications – preconfigured and guaranteed to meet EPA requirements. It’s remote monitoring with secure control. 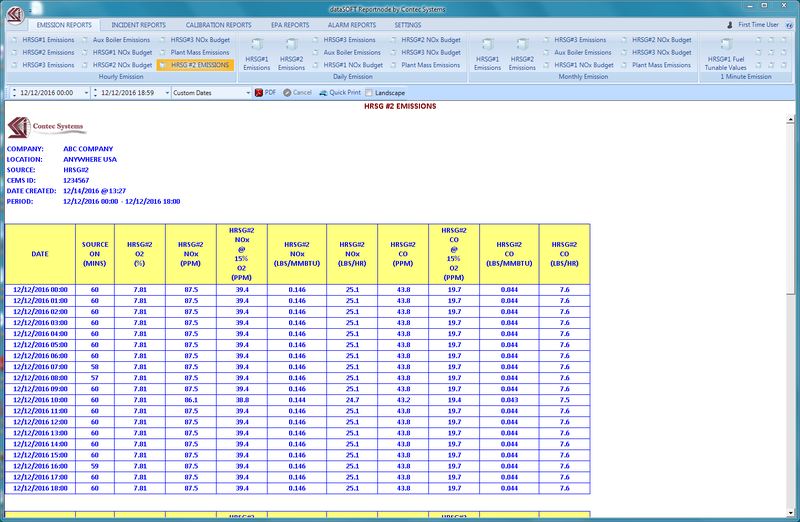 Our exclusive dataSOFT product was developed to offer the most advanced set of tools through sleek, efficient design. From an easy to control platform with user friendly features, to signature clear reporting of data, Contec’s solutions quickly help reduce response time averages. dataSOFT provides companies remote viewing and reporting capabilities from any networked computer. 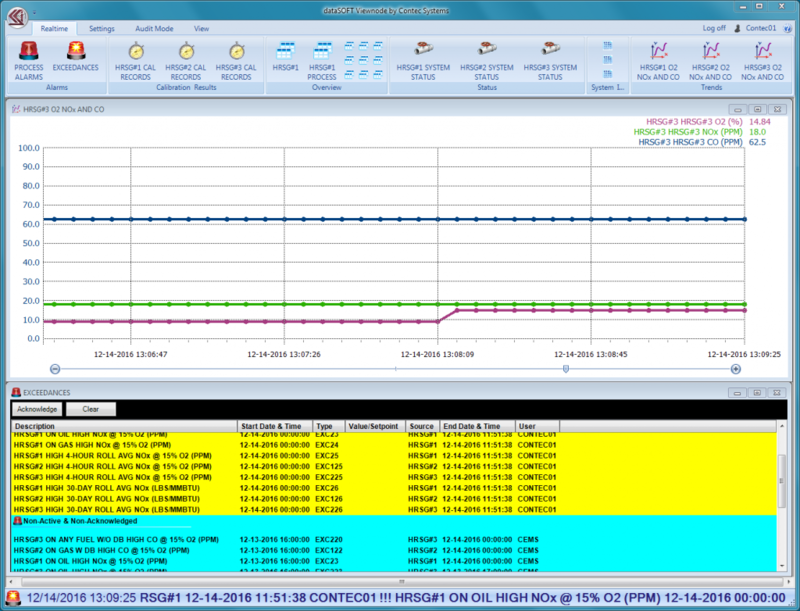 Utilizing Microsoft’s SQL Server database, dataSOFT brings the ability to integrate information seamlessly into third-party applications using Modbus and OPC interfaces. In 1990, Contec Systems was founded with a mission statement to provide an engineered solution using only the best available software for analyzer management, control of cem/com systems, and data acquisition software technology. After thousands of applications across the United States and abroad which are certified and reporting to EPA and local agencies, our initial mission statement is still our primary focus. © Contec Systems. All Rights Reserved.